The dynamics of many cellular processes are controlled by protein tyrosine phosphorylation, requiring the actions of both kinases and phosphatases. In cancer, this balance is often dysregulated, for example, when tyrosine kinases are over-activated. This has led to successful therapeutic interventions, such as EGFR inhibitors. The role of receptor tyrosine phosphatases in cancer is less clear. Moreover, little is known about how these receptors sense and transmit signals between cells in healthy tissues. The homophilic receptor PTPRK has been highlighted as a gastrointestinal tumour suppressor by genetic screens and is part of an oncogenic fusion in some colorectal cancers. In their new publication in eLife, researchers in the laboratory of Dr Hayley Sharpe at the Cambridge Institute for Medical Research systematically identify direct substrates of PTPRK providing new insights into signalling downstream of cell contact. PTPRK dephosphorylates known regulators of cell-cell adhesion, and loss of PTPRK impairs cellular junctions and increases invasiveness. These findings are important because compromised epithelial integrity and increased invasiveness are hallmarks of cancer and thus shed light on a potential tumour suppression mechanism for PTPRK. The immune system works tirelessly to prevent infection by microorganisms, but also removes trillions of our own aged and damaged cells daily. These complex processes are controlled by the exchange of information between cells through small proteins called cytokines. When genetic mutations that could cause cancer are detected in old or injured cells a programme called 'cellular senescence' is activated. This immediately stops the cell from proliferating and forming tumours, but also induces the secretion of multiple cytokines that direct the removal of senescent cells by the immune system. 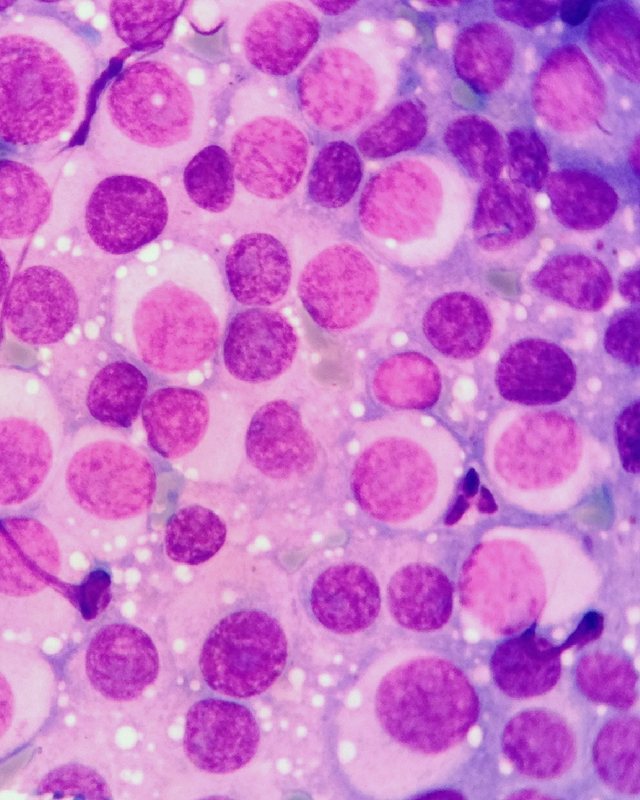 If senescent cells are not swiftly removed, new mutations lead to re-proliferation and cancer. One particular cytokine called interleukin-1 alpha (IL-1α) acts as the cornerstone of this process by directly controlling the secretion of most other cytokines from senescent cells. A new publication from Dr Murray Clarke's group in the Cardiovascular Medicine Division of the Department of Medicine, in collaboration with Dr Masashi Narita's group at the CRUK Cambridge Institute, reveals how IL-1α is cleaved and activated by a protease called caspase-5, and that blocking this interaction prevents cytokine secretion leading to dangerous accumulation of senescent cells. Senescent cells that do not form tumours additionally accumulate throughout the body during natural aging, leading to harmful chronic inflammation driven by the same cytokines. 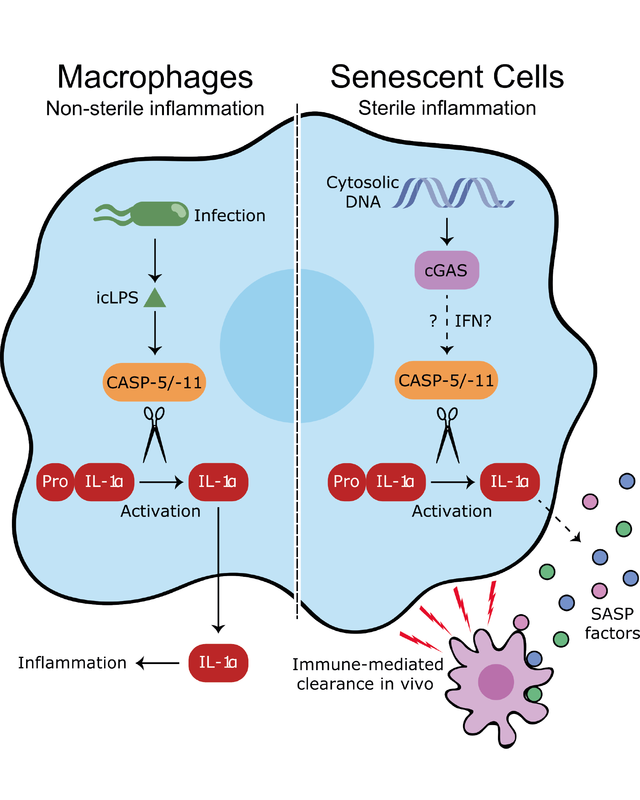 Under these conditions, blocking caspase-5 may reduce the deleterious effects of these senescent cells, whilst retaining the immune system's ability to fight infections. 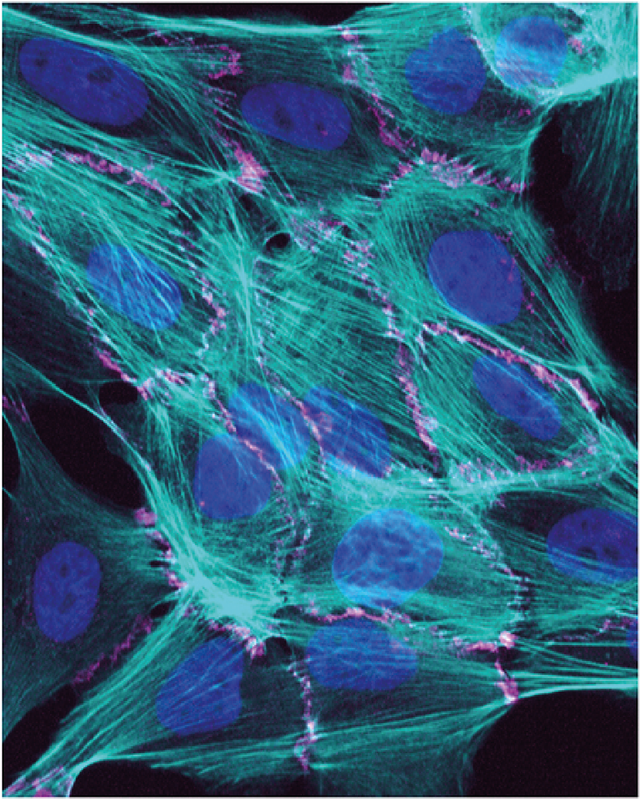 Many chemotherapy drugs target processes essential in dividing cells. One important target is the enzyme TOP2A, which plays a crucial role in maintaining genome stability and suppressing tumourigenesis. It accumulates on chromosomes during mitosis, and is essential for their compaction and segregation. 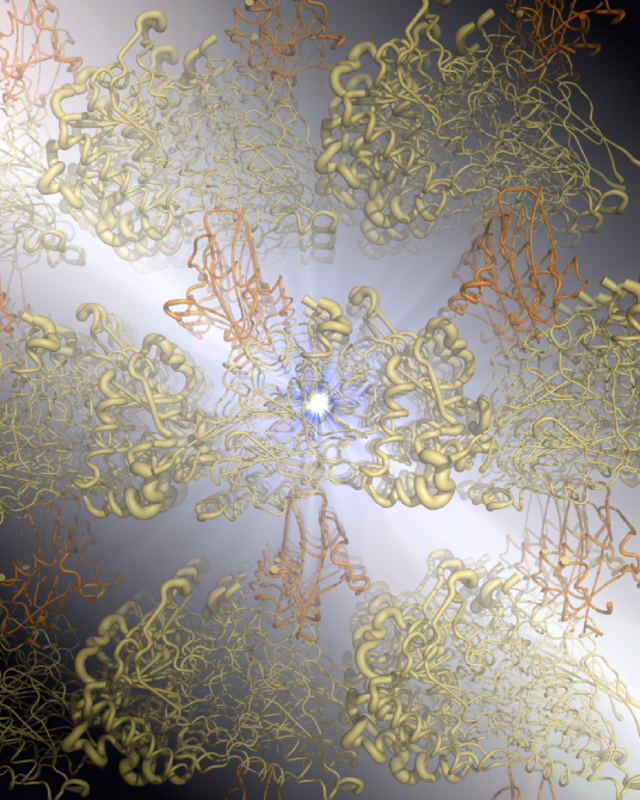 The catalytic core of this protein has been extensively characterised. However, it is the catalytically-dispensable C-terminal third that confers this ability to accumulate on mitotic chromosomes. 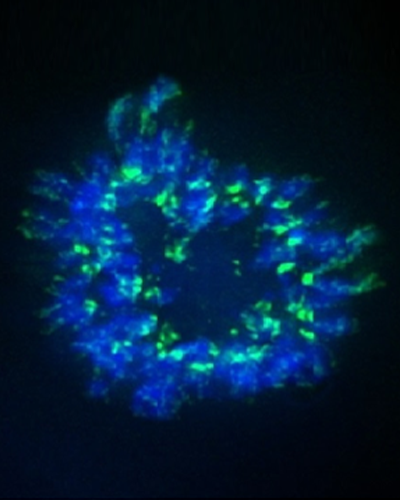 In their new publication, Dr Melissa Antoniou-Kourounioti and Dr Michael Mimmack, working in Dr Christine Farr's group in the Department of Genetics, identified several amino acids within the C-terminal domain whose modification is important for the interaction of TOP2A with mitotic chromosomes. Lysine 1240 is a major SUMO modification site, a process that is in turn affected by phosphorylation of nearby serine and threonine residues. 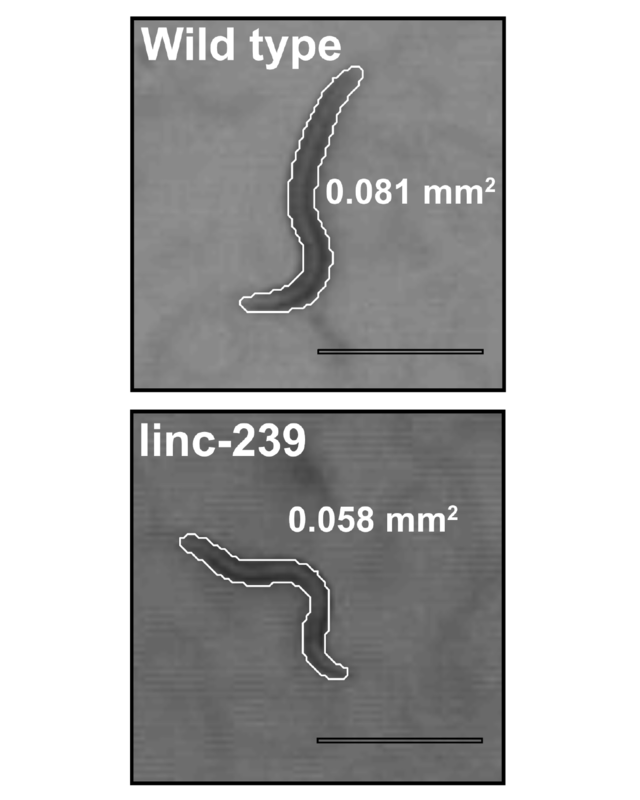 Modification-blocking mutation of these sites (and of Lysine 662, another known SUMO acceptor) results in TOP2A being retained less efficiently at the centromere as cells progress through mitosis. The interaction of TOP2A with chromatin is very dynamic, with a high on/off exchange rate. 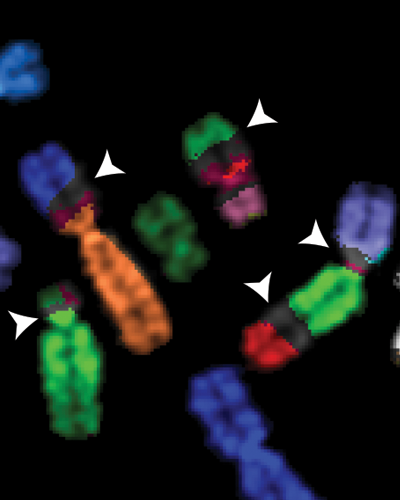 The work reported identifies mutations that change this exchange rate, suggesting one mechanism by which SUMOylation and phosphorylation of TOP2A regulate its presence on mitotic chromosomes. Clear cell renal cell carcinoma (ccRCC), the most common subtype of kidney cancer, is characterised by biallelic inactivation of the VHL tumour suppressor gene, mTORC1 signalling pathway activation, and accumulation of cytoplasmic lipid. Inhibitors against receptor tyrosine kinases (e.g. VEGFR and PDGFR) and the mTORC1 complex are the current clinically approved therapies for ccRCC. Nevertheless, the overall objective response rates especially for advanced ccRCC remain low, with 5-year survival at less than 10%. A recent study from Dr Sakari Vanharanta's group at the MRC Cancer Unit, published this month in Nature Communications, elucidates previously uncharacterised molecular mechanisms underlying ccRCC pathogenesis. The new results show that a cellular signalling network centred around Kruppel-like factor 6 (KLF6), a super enhancer-associated zinc finger transcription factor, promotes ccRCC growth by supporting lipid metabolism and mTORC1 activity. KLF6 activates mTORC1 through the expression of the secreted factor PDGFB, a ligand for the PDGFR receptor. 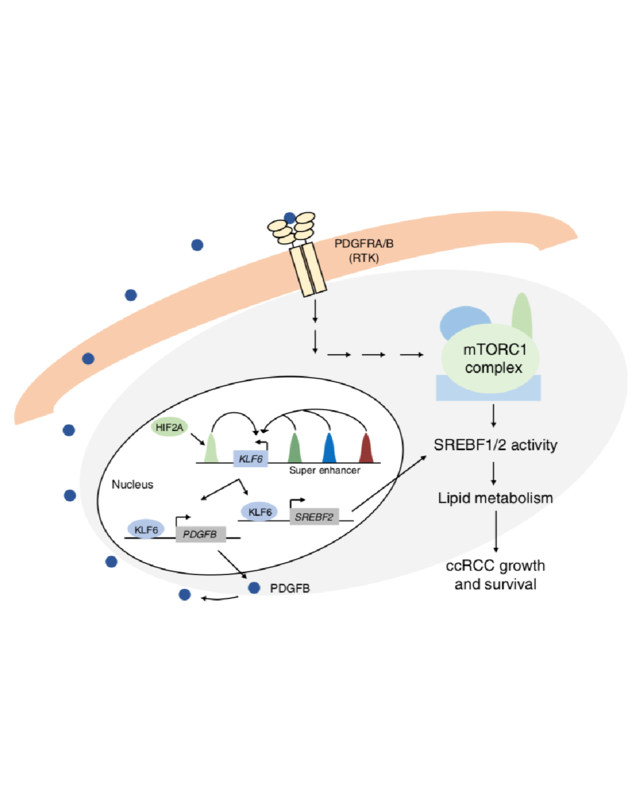 These results reveal a molecular link between two approved kidney cancer therapeutic targets, PDGFR and mTORC1, and highlight the links between super enhancer-driven transcriptional networks and the activity of essential metabolic pathways. Detailed understanding of such links could pave the way for novel therapeutic intervention strategies. During development, neural stem cells transition through different states that maintain a balance between proliferation and differentiation. One way to coordinate these transitions is through the propagation of self-organised waves of signalling activity that travel across a tissue. 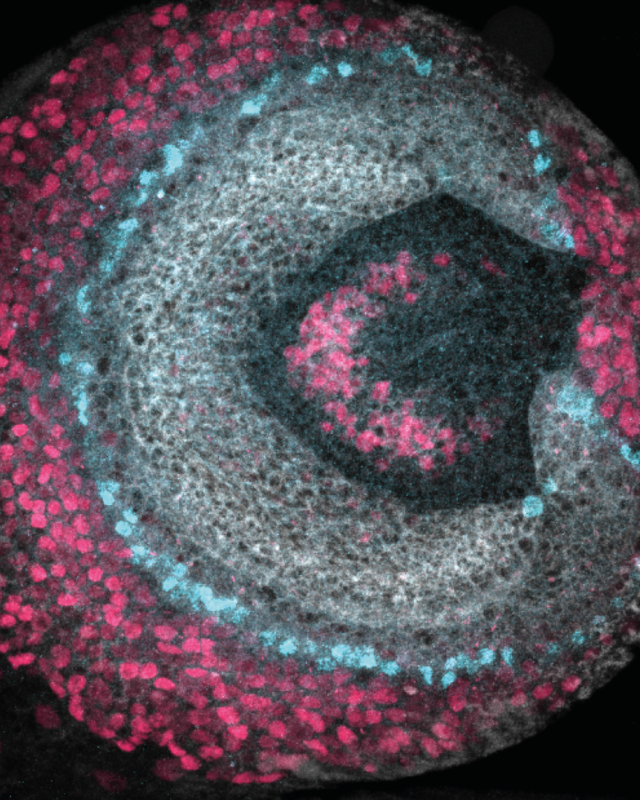 In the developing visual system of Drosophila melanogaster, a wave of proneural gene expression (the 'proneural wave') transforms symmetrically dividing neuroepithelial cells into asymmetrically dividing neural stem cells that generate neurons and glia. In their new paper published in eLife, Professor Andrea Brand's Group has worked together with Professor Ben Simons' Group (both at the Wellcome/Cancer Research UK Gurdon Institute) to describe a mechanistic model of the emergence and propagation of the proneural wave. Through a combination of genetic manipulation and biophysical theory, the authors suggest that the proneural wave is driven by an excitable reaction-diffusion mechanism that results in a travelling pulse of signalling activity and gene expression. The study proposes a generic and robust mechanism to establish the sequential transition of developing tissues. Large regions of our DNA are non-coding, meaning that these areas do not code for proteins. Yet many of these non-coding regions are actually transcribed, creating long non-coding RNA (lncRNA) molecules. Thousands of lncRNAs have been identified in humans, and indeed in many other organisms also, with some lncRNAs involved in human diseases such as cancer. However, identifying lncRNAs and understanding their function is a difficult challenge. Caenorhabditis elegans is a nematode worm used as a model organism for uncovering the molecular function of genes. It was the first multi-cellular organism to have its complete genome sequenced 20 years ago. A team of researchers led by Dr Alper Akay from Professor Eric Miska's group at the Wellcome/Cancer Research UK Gurdon Institute in Cambridge, and Dr Wilfried Haerty from the Earlham Institute in Norwich, set-out to identify the long non-coding RNAs of C. elegans. Their study identifies hundreds of new lncRNAs. Deleting several of these lncRNAs makes the animals grow smaller and have less offspring. Elucidating how these lncRNAs function in regulating important developmental processes would help our understanding and the study of human lncRNAs involved in cancer and in other diseases. 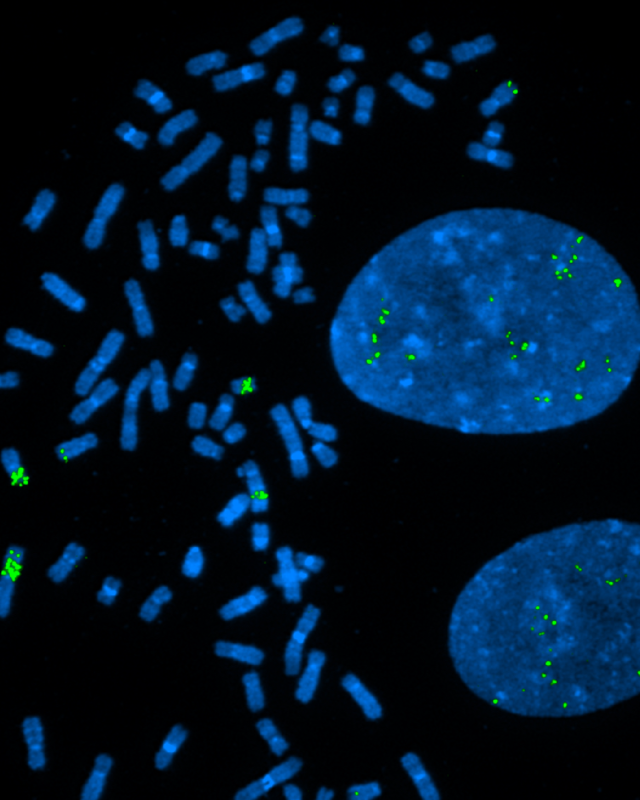 Modifications to chromosome structure, such as abnormal duplication of DNA sequences, are a frequent event in cancer cells and can underpin malignant transformation. The advent of CRISPR-Cas9 technologies has unlocked our ability to study gene function in cancer at an unprecedented scale, and holds promise to discover new therapies. 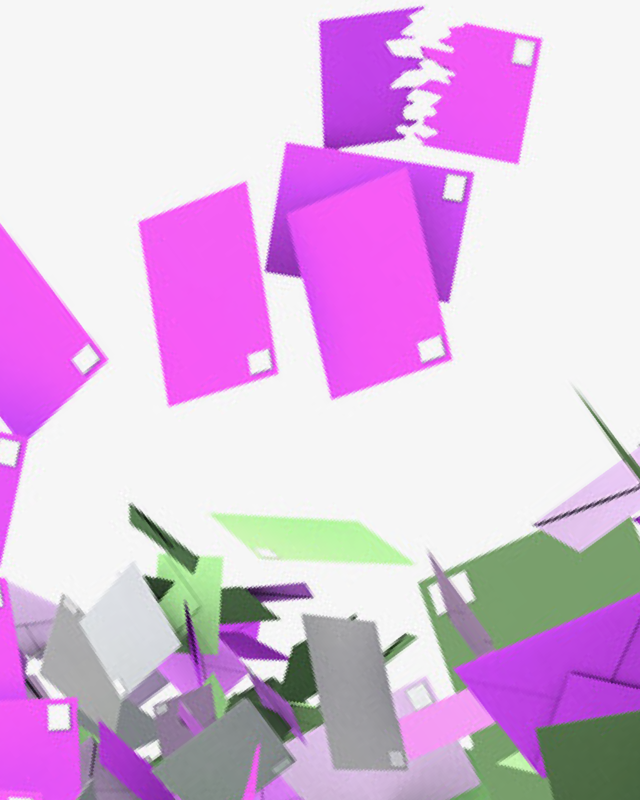 Nonetheless, the impact of structural rearrangements has not yet been comprehensively assessed. To find out, Dr Emanuel Gonçalves from Dr Mathew Garnett’s group at the Wellcome Sanger Institute utilised hundreds of CRISPR-Cas9 screens together with whole-genome sequencing, DNA copy-number arrays and fluorescence in situ hybridization techniques to identify determinants of the CRISPR-Cas9 response. It has previously been shown that genes with a high number of copies have strong false-positive effects in CRISPR screens regardless of their function. In this study, Dr Gonçalves demonstrated that ploidy status (the number of each chromosome in a cell) has a strong impact on the false positive effects detected in CRISPR-Cas9 screens. Specifically, whole chromosome duplications have little to no impact, in stark contrast to genomic amplifications arising from tandem-duplications or highly structurally re-arranged regions, which have a strong non-specific loss-of-fitness effect. This demonstrates the importance of structural rearrangements in mediating CRISPR-Cas9-induced loss-of-fitness effects, and has broad implications for the use of CRISPR-Cas9 gene-editing in cancer cells, for example when performing gene knockout screens. Before a cell can build a protein, it first needs a set of 'blueprints', which come in the form of messenger RNA (mRNA). Each mRNA is copied from the corresponding DNA sequence and is then further processed and modified by large multi-protein machines. One of these machines is called cleavage and polyadenylation factor (CPF), which acts at the end of the mRNA. It contains a nuclease enzyme that cleaves the mRNA, and a polymerase enzyme which then adds a poly(A) tail to the freshly-cut end. The cleavage site is often altered in cancer cells and this can affect how the mRNA 'blueprints' are read and can influence mRNA lifetime. But the workings of the CPF machine itself are not well understood. For instance, how is the nuclease correctly positioned and activated only once on every mRNA? To answer these questions, scientists in Dr Lori Passmore's group at the MRC Laboratory of Molecular Biology deconstructed the machinery and built it up again, piece by piece, until they could replicate the cleavage reactions in a test tube. They also used electron microscopy, X-ray crystallography and mass spectrometry to reveal the molecular architecture of CPF. Together, these combined insights help understand how cleavage sites are determined both in health and disease. When a cell needs to make a particular protein, it first copies the instructions from the matching gene into a molecule known as a messenger RNA (or an mRNA for short). A simple way to control the level of protein production is to raise or lower the number of these mRNA messages, and living cells have lots of ways to make this happen. One method involves codes built into the mRNAs themselves, called destabilising motifs. These can attract the attention of a group of proteins called Ccr4-Not, which in turn shorten the end of the mRNAs, preparing them for degradation. But how does Ccr4-Not choose which mRNAs to target? To find out, researchers from Dr Lori Passmore’s group at the MRC Laboratory of Molecular Biology recreated the system in the laboratory using purified molecules. The test-tube system confirmed that a protein called Puf3 forms a bridge between Ccr4-Not and mRNAs. It acts as a tether, recognising a destabilising motif and linking it to Ccr4-Not. Labelling different mRNAs with two colours of fluorescent dye showed how Puf3 helps the cell to choose which to destroy. Understanding the targets of tethers like Puf3 could help scientists to predict which genes will switch off and when. This could reveal genes that work together, helping to unravel their roles inside cells. Mutations in the ATM gene cause the devastating neurodegenerative and cancer predisposition disease ataxia-telangiectasia (A-T), and are also associated with various forms of sporadic cancer. Previous work has shown that the ATM protein, which is produced from the ATM gene, serves as a "molecular guardian of the genome" by detecting DNA damage and promoting its repair. Consequently, A-T patients and ATM-deficient cells are hyper-sensitive to various endogenous DNA lesions that can lead to neurodegeneration, as well as DNA-damaging agents used in cancer therapy such as PARP inhibitors. In their new publication, researchers in the laboratory of Professor Steve Jackson at the Gurdon Institute collaborated with colleagues at AstraZeneca to identify mechanisms by which the drug sensitivities of ATM-deficient cells can be alleviated through changes in other genes. Thus, using cutting-edge CRISPR-Cas9 genetic screens, the authors show that defects in the products of several genes also involved in DNA repair pathways, including components of the BRCA1-A complex and the non-homologous end joining factors LIG4, XRCC4 and XLF, can alleviate the hypersensitivity of ATM-deficient cells to PARP inhibitors and the chemotherapeutic drug topotecan. In addition to this work providing new mechanistic insights into how cells respond to DNA damage, these findings also have potential medical relevance. First, they suggest how cancers with ATM mutations might evolve resistance in the clinic and how this may make these resistant cancers susceptible to other anti-cancer agents. Second, they suggest potential therapeutic targets for A-T.
Genome integrity is continuously threatened by DNA damage arising from both exogenous and endogenous sources. In response to DNA damage cells activate a signal transduction cascade, known as the DNA damage checkpoint, that results in the activation of DNA repair pathways. Timely termination of this signalling cascade is then essential for the resumption of normal cell growth once DNA damage has been repaired. A new study from Professor Tony Kouzarides’ group in collaboration with Professor Steve Jackson’s group, both at the Gurdon Institute, shows how this transition between DNA damage checkpoint activation and termination is regulated in baker’s yeast. 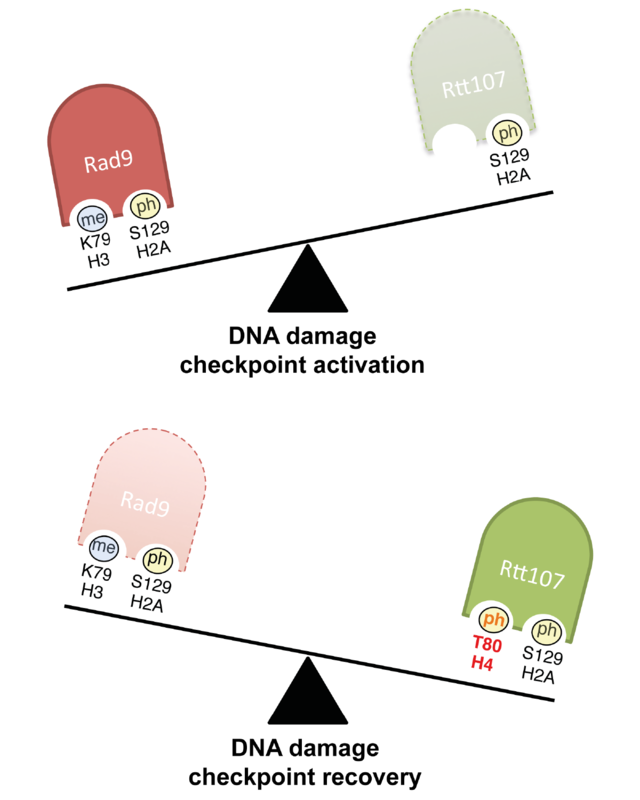 The authors identified a DNA-damage-regulated histone modification in Saccharomyces cerevisiae, phosphorylation of histone H4 threonine 80, and showed that it triggers DNA damage checkpoint termination by promoting the timely recruitment of Rtt107 protein to displace the checkpoint adaptor Rad9, thereby interrupting the checkpoint-signalling cascade. It is well known that the DNA damage checkpoint acts as a barrier during early tumourigenesis, and that its inactivation enhances tumour progression. Therefore, understanding the mechanisms by which cells inactivate the checkpoint-signalling cascade may reveal new potential therapeutic targets for cancer treatment. The causes of psychiatric diseases can be multiple, but certainly involve both environmental and genetic aspects. A new study from Professor Eric Miska’s Group in our Programme, in collaboration with Professor Isabelle Mansuy at ETH/University of Zürich, presents compelling evidence for a new player in the mechanisms that mediate environmentally increased disease risk. 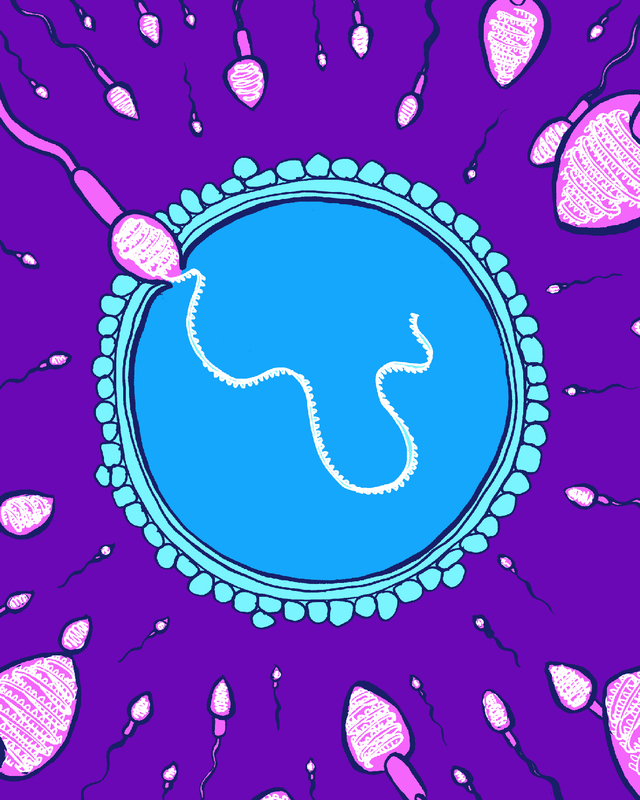 Using a well-established mouse model, the authors demonstrate that early life trauma alters long RNA molecules in sperm. These molecules relay the effects of the traumatic experience on anxiety, insulin metabolism and food intake to the offspring complementary to altered small RNAs, that convey effects on depressive-like behavior. These findings have strong implications for potential intervention strategies targeting the prevention of the inheritance of trauma-induced increased disease risk. Both the formation and function of the epithelial sheets that form most of our organs depends on the apical-basal (top-bottom) polarisation of each cell, whereas a loss of this polarity is a hallmark for cancer. It has generally been assumed that all epithelia are polarised by a common mechanism involving a conserved set of polarity factors. In their new publication, Professor Daniel St Johnston’s Group at the Gurdon Institute show that none of these factors are required for polarity in the fly midgut epithelium, indicating that there are at least two types of epithelia that polarise by fundamentally different mechanisms. 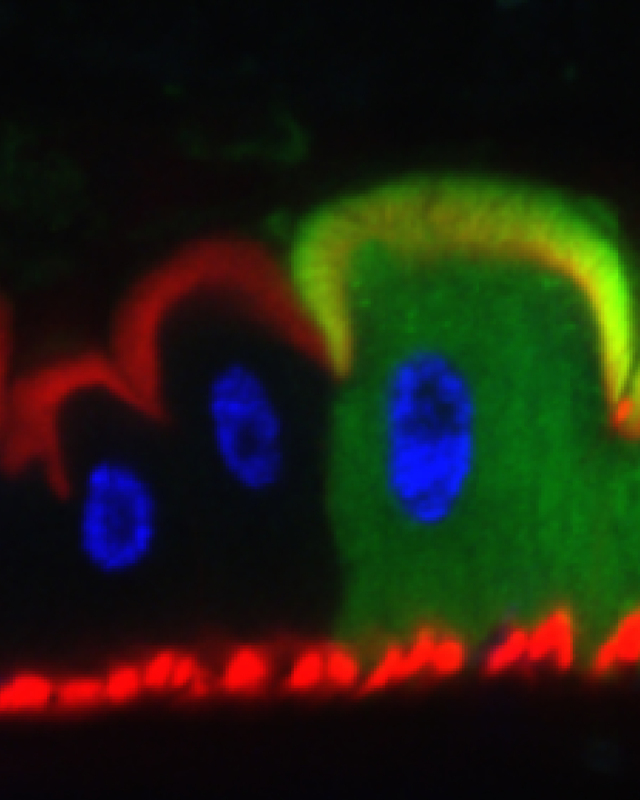 Furthermore, their findings reveal that the Drosophila midgut is more similar to most mammalian epithelia than other fly epithelia, suggesting that it will be a good model for studying how cells within epithelial sheets polarise and how this polarity is disturbed in cancer. Scientific literature on cancer is huge, and with thousands of new publications appearing each month, it has become increasingly difficult for cancer researchers to stay up to date with developments in their own field. Researchers from Professor Anna Korhonen’s Group at the University of Cambridge Language Technology Laboratory have teamed up with the groups of Dr Masashi Narita at the CRUK Cambridge Institute and Professor Ulla Stenius at the Karolinska Institutet in Sweden to create a new computational tool, called LION LBD, that addresses this problem. The tool, based on AI technology, not only helps scientists keep abreast with published discoveries on cancer, but also helps them make new discoveries by combining what is already known in published literature. 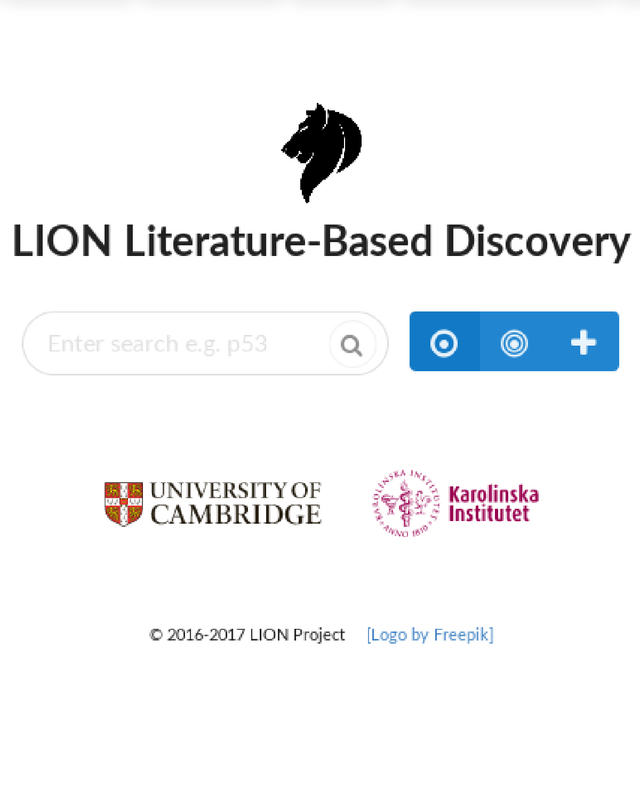 Facilitating large-scale hypothesis testing and generation from huge collections of biomedical literature, LION LBD is the first literature-based discovery system developed for the needs of cancer biology. It is freely available at http://lbd.lionproject.net. RNA viruses are often considered to present the highest threat for triggering a worldwide pandemic. 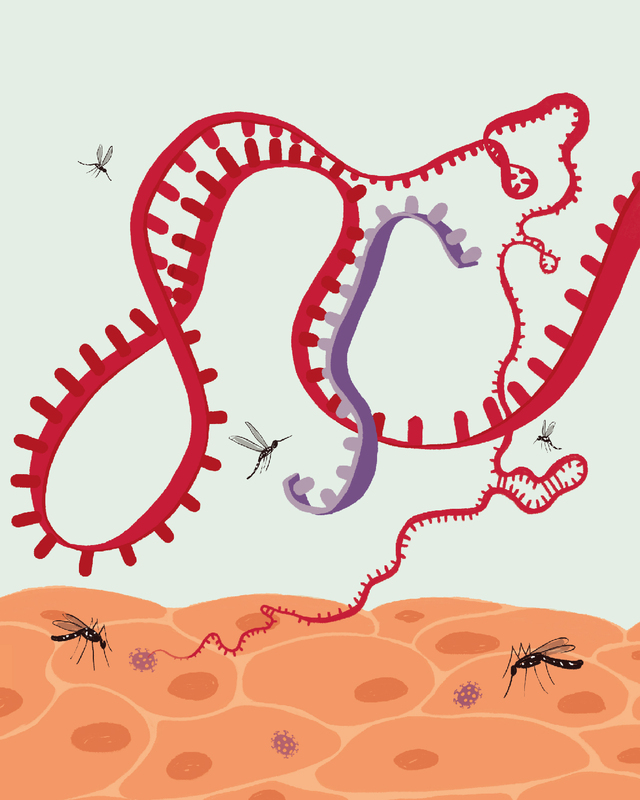 In their new Nature Methods paper, researchers from Professor Eric Miska’s group and international collaborators describe a new technique to determine the structure of the Zika virus RNA genome while replicating inside human cells, as well as to explore how Zika virus interacts with the host's own RNA. The technique is called COMRADES (Crosslink Of Matched RNAs And DEep Sequencing) and, importantly, it can be applied to any RNA virus in any host cell and provides insight into how viruses direct the host cell to create new virus particles. COMRADES could also allow researchers to design artificial molecules capable of blocking the virus replication process and preventing the virus spreading. RNA viruses are a major threat to animals and plants. RNA interference (RNAi) and the interferon response provide innate antiviral defense against RNA viruses. In their new publication, Professor Eric Miska's Group and their collaborators performed a large-scale screen, using Caenorhabditis elegans and its natural pathogen the Orsay virus (OrV), which identified cde-1 as important for antiviral defense. CDE-1 is a homolog of the mammalian TUT4 and TUT7 terminal uridylyltransferases (collectively called TUT4(7)); its catalytic activity is required for its antiviral function. CDE-1 uridylates the 3' end of the OrV RNA genome and promotes its degradation in a manner independent of the RNAi pathway. Likewise, TUT4(7) enzymes uridylate influenza A virus (IAV) mRNAs in mammalian cells. Deletion of TUT4(7) leads to increased IAV mRNA and protein levels. 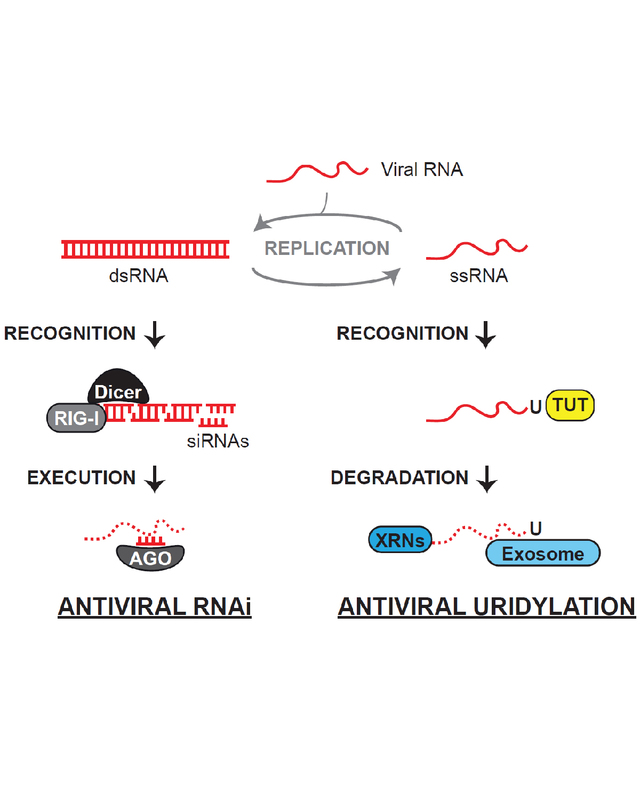 Collectively, these data implicate 3'-terminal uridylation of viral RNAs as a conserved antiviral defense mechanism. CRISPR-Cas9 is a powerful technology with important applications in cancer research, as it can help identify genes that are essential for cancers to grow. However, cancer cells can accumulate extra copies of specific genes, which are then wrongly classed as being essential for cancer. Researchers from the Wellcome Sanger Institute have created a new computational tool, called CRISPRcleanR, that accounts for this undesired bias in the data derived from CRISPR-Cas9 screens. Published in BMC Genomics and as part of the Cancer DepMap at the Wellcome Sanger Institute, the method allows better interpretation and prioritising of gene hits for the development of new anti-cancer therapies. Notably, this approach does not require any information about the number of extra gene copies. The method will improve the analysis of CRISPR-Cas9 knockout screens to identify essential cancer genes. Researchers at the MRC Cancer Unit have shown how a set of proteins can change cancer cell behaviour. 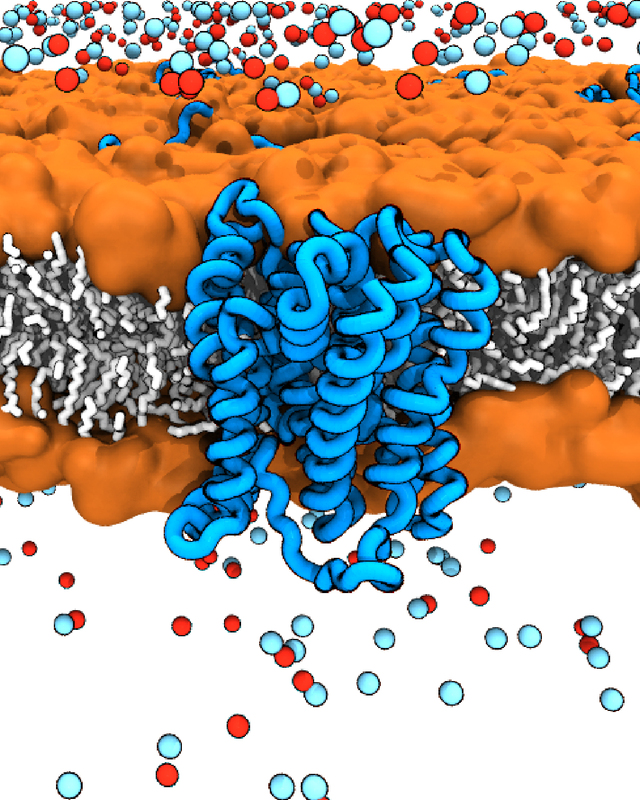 Using computer simulations, they discovered how coordination between a network of membrane transporters can be exploited to improve existing drug action, and potentially generate new treatments. These transporters are used to maintain the balance of chemicals inside and outside the cell. The gradients of these chemicals are then used in processes like cell size maintenance, and control fundamental behaviours such as cell movement and growth. In their new publication, researchers from Dr Ben Hall’s group show for the first time that alterations in the expression of these membrane transporters consistently occurs in all cancers. Going further, the researchers were able to construct a computational model of the key chemical gradients and transporters within a cell, and show precisely how changes in the expression of them can alter cancer cell behaviour. This research is a start at understanding how these proteins can be used as potential markers or drug targets in the future. Autophagy is a process of cellular self-digestion that is required to prevent the build-up of damaged molecules that would otherwise predispose to a range of diseases including neurodegeneration and cancer. In their new publication, researchers from Dr Masashi Narita’s Group at the CRUK Cambridge Institute, and their collaborators, describe a new model in which we can control when and where autophagy happens. Instead of completely deleting a gene, they developed a system that allows us to turn off and on a key autophagy gene, blocking and re-establishing autophagy, respectively. This has enabled them to perform experiments that were previously impossible and uncover novel insights. 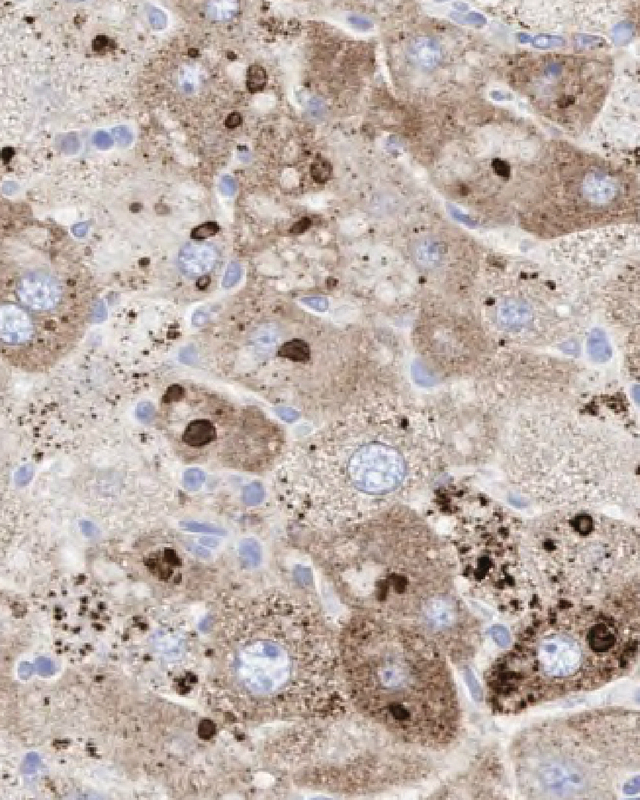 In one example, the researchers were able to show that autophagy inhibition can drive liver damage, yet liver fibrosis occurred only after autophagy restoration. Such models are necessary to test the role of autophagy at different stages of disease, such as in cancer where it may have different roles in tumour initiation, progression, and treatments. Breast cancer is the most common cancer in the UK, with up to 10% of hereditary cases due to inheriting a faulty cancer-causing gene, for example, mutations in the BRCA1 gene. Individuals with BRCA1 mutations are at high risk of developing breast cancer, and often opt for prophylactic breast removal, as was reported for Hollywood actress Angelina Jolie. Previous research in Professor Steve Jackson’s Group at the Gurdon Institute led to the development of PARP inhibitors, a new class of cancer therapy which is highly effective in treating cancers with these mutations. Unfortunately, drug resistance is a common response, and so his group set out to establish how this resistance might develop. 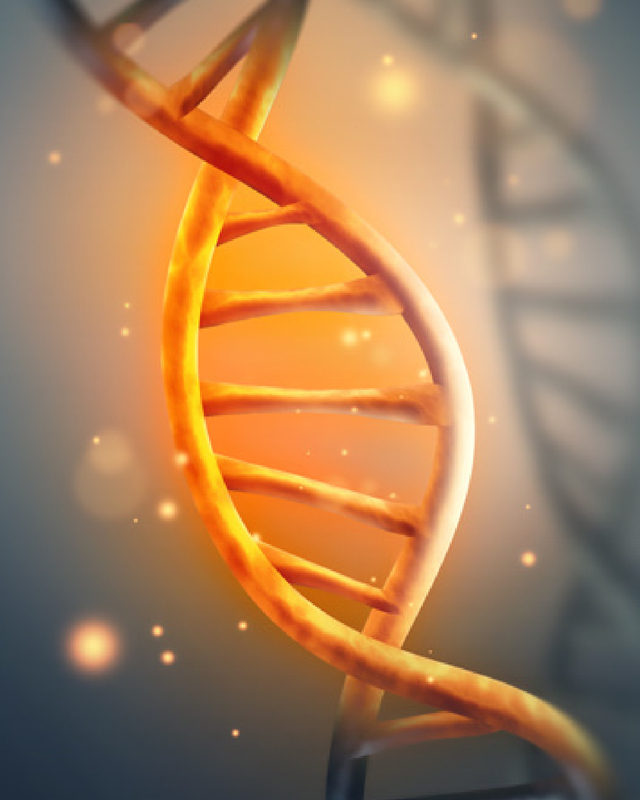 Using state-of-the-art CRISPR gene editing technology, the researchers scanned the human genome for factors which, when mutated, could cause drug resistance in cells that lacked BRCA1. One of these factors was the previously uncharacterised Shieldin complex. BRCA1 is critical for performing the accurate type of DNA repair known as homologous recombination (HR). This is counterbalanced by an opposing ‘error-prone’ repair pathway known as non-homologous end-joining (NHEJ). The researchers identified Shieldin as a new component of the NHEJ pathway. BRCA1-negative cells rely on this error-prone DNA repair pathway, which makes them susceptible to PARP inhibitors. If Shieldin is removed from these cells, the imbalance between the repair pathways is reversed, restoring the ability of the cell to perform DNA repair by HR, overcoming the toxicity of PARP inhibitors and therefore leading to drug resistance. The study went on to show that resistance to PARP inhibitors can lead the same cancer cells to develop vulnerabilities to alternative cancer treatments, such as radiotherapy or platinum-based chemotherapy. One crucial part of human cells is a structure called the nuclear envelope, which surrounds the cell nucleus – home to our DNA. This structure is essential for maintaining normal nuclear architecture and cell function. Dysfunction of the nuclear envelope leads to various human diseases, including the rare, but devastating Hutchinson-Gilford progeria syndrome (HGPS) for which there is no current cure. 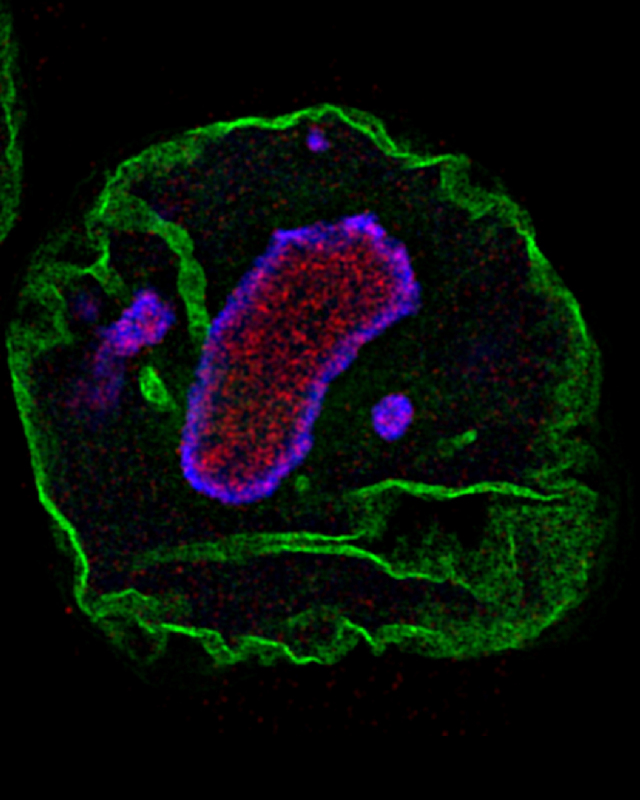 In their new publication, Professor Steve Jackson’s Group at the Wellcome Trust Gurdon Institute and Dr Delphine Larrieu’s Group at the Cambridge Institute for Medical Research identified a new pathway – the Transportin-1 pathway responsible for importing several proteins into the nucleus – as being affected in HGPS. These proteins are involved in important cellular processes including organisation of DNA structure and regulation of gene expression. Consequently, in HGPS, they cannot effectively reach the nucleus and are therefore unable to play their normal roles. The authors show that by targeting a protein called NAT10, we can restore the Transportin-1 pathway in HGPS cells, leading to improvement of DNA structure, gene expression re-balancing, and delayed entry of cells into senescence. Transmissible cancers are clonal cell lineages that can spread between individuals via transfer of living cancer cells. One of the oldest known contagious cancers is Canine Transmissible Venereal Tumour (CTVT). CTVT is usually sexually-transmitted between dogs and manifests as genital tumours. This dogged disease first arose from the cells of an early domesticated dog thousands of years ago and has since then "metastasized" through global dog populations. In their new study, Dr Elizabeth Murchison’s Group at the Department of Veterinary Medicine trace the historic origin of this cancer lineage using samples of DNA from ancient canids. The study reveals that CTVT first arose over eight thousand years ago in a “founder” individual very closely related to an extinct population of dogs that were once widespread across the Americas. Our body consists of various organs, which are further composed of tissues that each include diverse populations of highly specialised cells. As such, it is important to precisely look at how each cell regulates its genes in order to understand animal physiology. 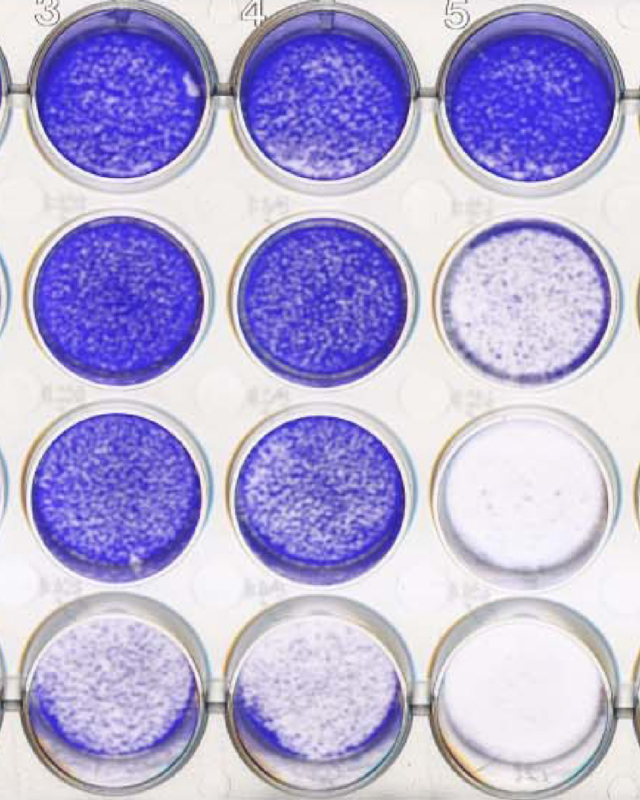 All the existing methods to study cell-specific gene expression require cellular or molecular sorting. This can be quite time-intensive, however, and has considerable detrimental effects on cells, leading to limited applications. 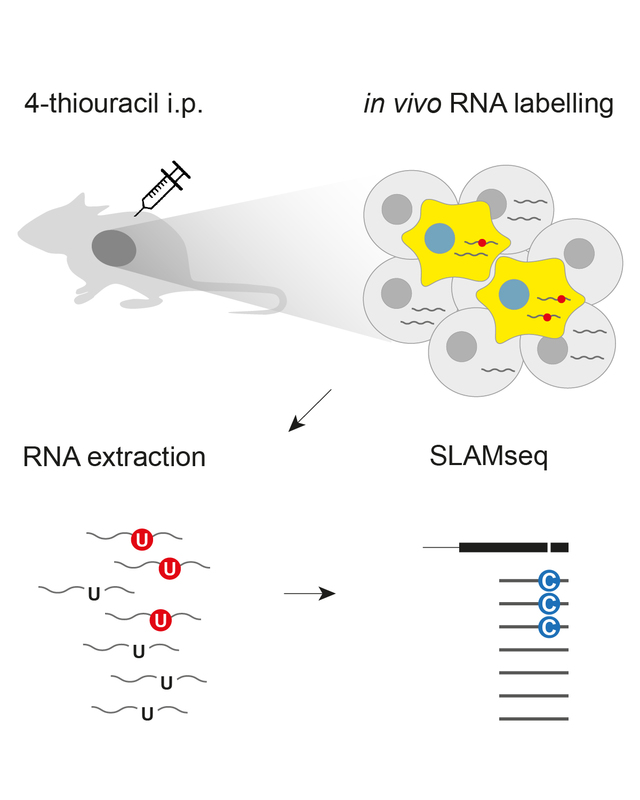 Professor Eric Miska’s Group at the Wellcome Trust Gurdon Institute have developed a new method, SLAM-ITseq, which enables scientists to study gene expression in a cell-specific manner through RNA labelling combined with a novel high-throughput sequencing method. Since SLAM-ITseq eliminates the need for cellular or molecular sorting, this method can be employed to study wider cell types in an animal in an easier, yet more accurate manner than ever before. One cause of cancer can be exposure to chemical carcinogens. Often we think of tobacco smoke, but widely-used preservatives in bacon can be broken down by the liver into a carcinogen called nitrosamine, which may contribute to cancers in the digestive track. In their new paper, Dr Duncan Odom's Group at the CRUK Cambridge Institute used a cohort of mice to characterise what kinds of mutations occur in liver cells after exposure to a closely related compound called diethyl nitrosamine (DEN). 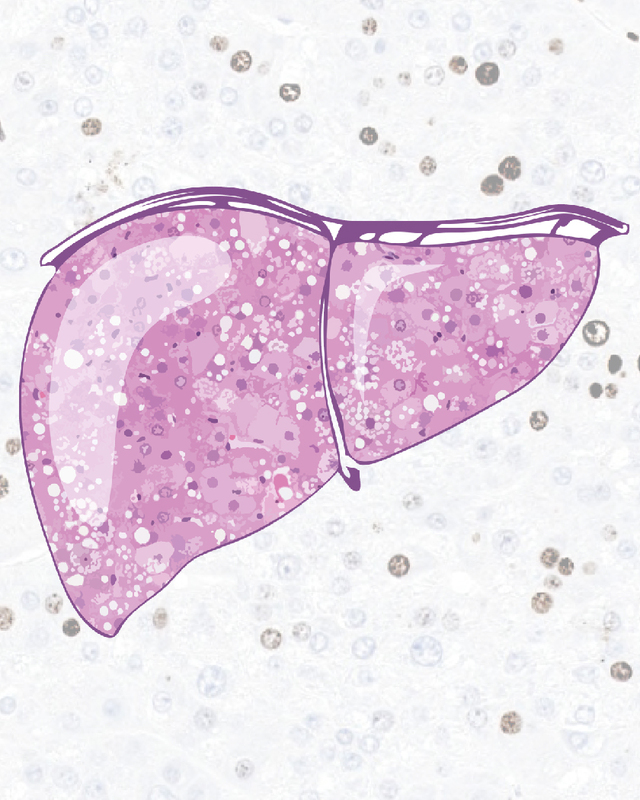 DEN has long been used to create liver tumours, and their study applied very recently developed high throughput sequencing technologies to look at how protein coding genes can be altered in both early and later stages of tumour development. Together, the authors revealed the precise locations on a handful of cancer genes that drive tumour development, as well as the overall molecular pathways affected in a widely used model for chemically induced liver cancer. Aurora kinase A is regarded as a promising therapeutic target in cancers, but there is still much to discover about its roles in the cell, and how these contribute to cancer progression. A new study from Dr Rhys Grant et al. 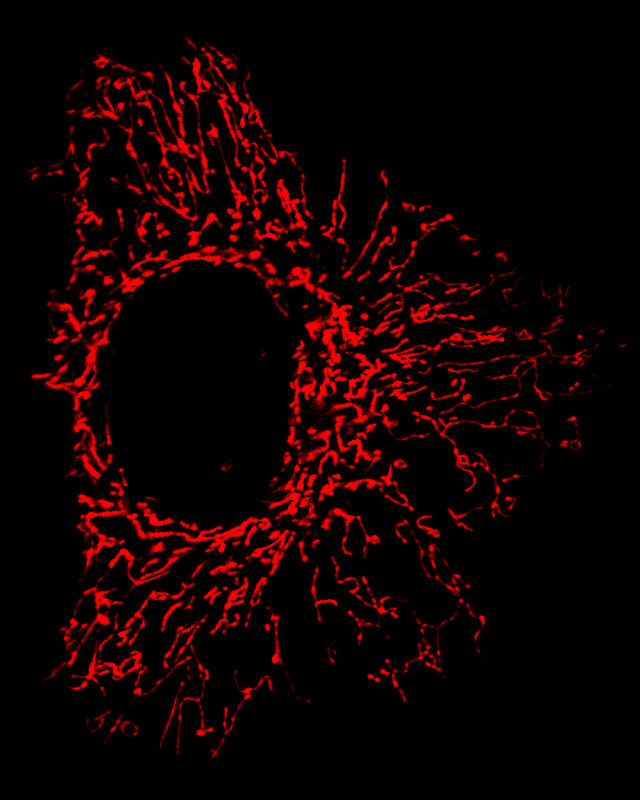 in Dr Catherine Lindon's Group at the Department of Pharmacology, University of Cambridge, shows that one of these roles concerns the organization of the mitochondrial network, the energy factory of the cell, which in the presence of excess Aurora A fragments into smaller units that are thought to function less efficiently. Fragmented mitochondria are a hallmark of cancerous cells, whose metabolism is less reliant on mitochondria than healthy cells. The finding that Aurora A is targeted to mitochondria raises exciting new questions about this key player that extend beyond its well-described role in controlling cell division to a more generalized role in cytoplasmic organization and metabolism.